Today’s Ableton have announced they’re acquiring Cycling ’74. 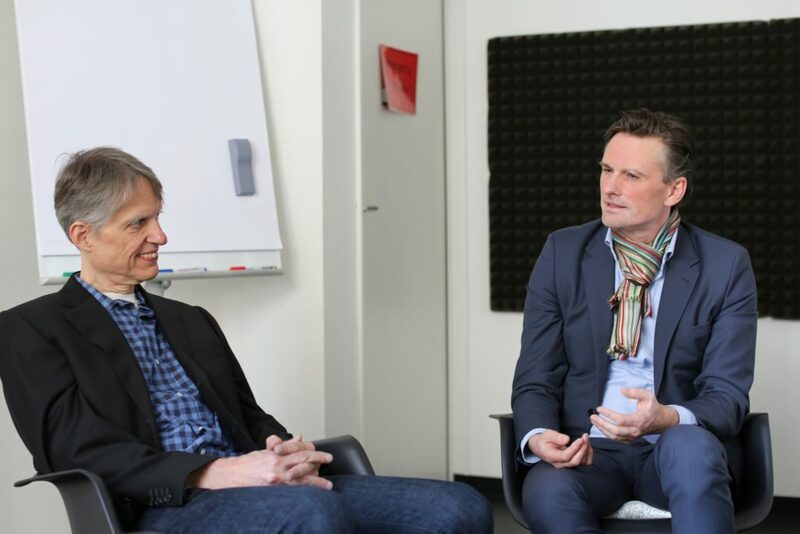 There’s no two better people to talk to about what that means than the founders and CEOs of the two companies, Ableton’s Gerhard Behles and David Zicarelli of Cycling ’74. That’s big news. But it’s also a long time coming, based on a relationship that has evolved over three decades. And the history of these two companies is deeply intertwined – not just because of Max for Live. Without Max, it’s almost certain there would be no Ableton. Behles says Max was the first music software to really inspire him. 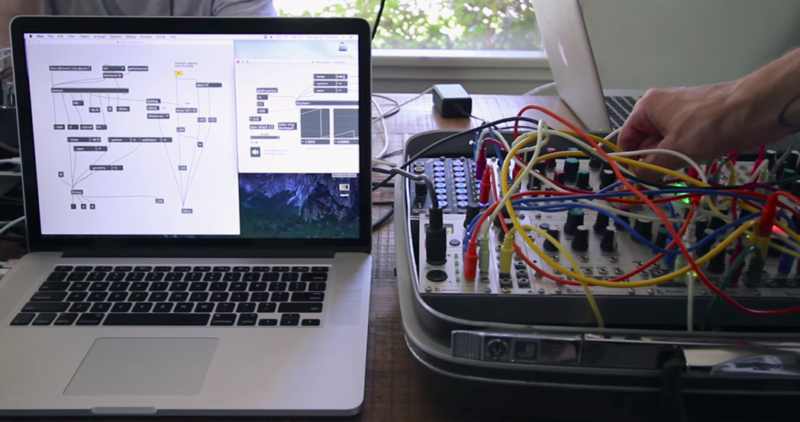 Max was the tool of choice in Monolake, the duo co-founded by Ableton founders Gerhard and Robert Henke. Max patches powered their early performance tools and releases. 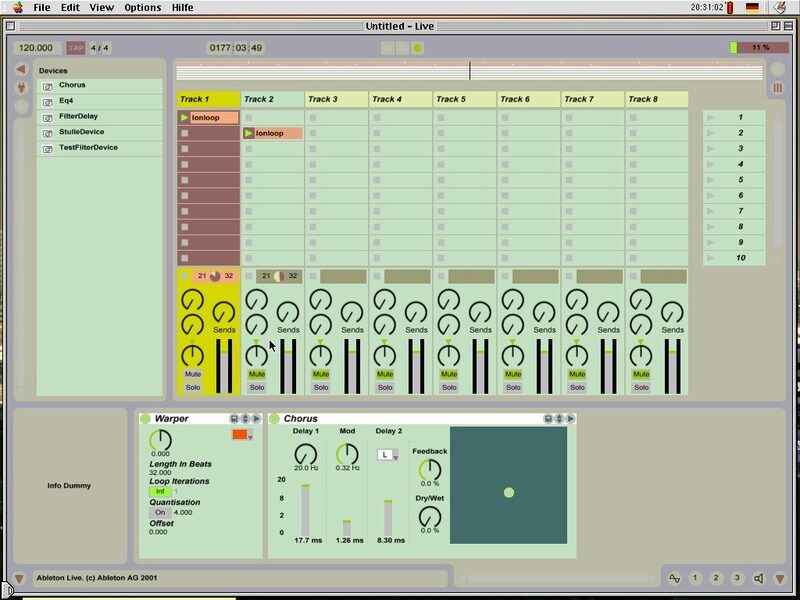 Those patches inspired Ableton Live’s original design, and Max continued to serve as a prototyping environment long before Max for Live added the “edit button” to devices. So if Ableton and Cycling ‘74 continue essentially as before, what’s significant about this announcement? It’s in that collaborative space and shared interest where you can expect the action. Founders David Zicarelli (left) and Gerhard Behles (right). Ableton are as always tight lipped about any future plans. So that makes some of this discussion abstract, in that David and Gerhard avoided discussing in any concrete terms what they’re working on. On the other hand, you get a rare insight into how their minds work – and where they share a vision for what’s coming next. It’s a chance to understand what motivates their next act, on a deeply philosophical, personal level. Gerhard: From the point of view of the early Live versions – they were all about removing options. And this was about the opposite. This was about opening a gate to an infinity of options. And I think no user asked for it. Nobody did research or something to validate the idea. We somehow really did this because [of a] personal vision for where the product should go. [Now,] Max has become an integral part of the Live experience. At this point, you can’t think of Live without Max any more. And for so many people, Live is the first exposure to Max. David: It took us three years to do the project in the first place. There was nothing other than a handshake in the beginning. We just said, we’re going to make this work. The fact that we did it as two independent organizations is an incredibly rare and special thing. Gerhard and I have [regularly] had this discussion, what would it mean if we were playing on the same team? For the last ten years, we’ve had first hand exposure to how Ableton works. And we respect how they’re operating – and they’re incredibly successful in what they do. And I got the sense that there was also some respect on the Ableton side for how we were working. I think after all that time, we were able to say, hey, we actually could work together and not lose our soul. David: We’re both seeing this incredibly difficult challenge, which is the landscape of the computing devices people use for music and media is changing radically. And we can’t just count on the entire world having a laptop. At the same time, we also see this opportunity to have a bigger impact on the world, because of the computing devices getting easier to acquire, easier to use, easier to embed into new contexts. But it poses a fundamental challenge to how we conceive of what we’re doing. And we have to move from “sorry, if you don’t have a laptop we can’t help you,” to something else. If our technology were to go in that direction, Ableton could be a context where people can make use of it, be exposed to it, construct it. 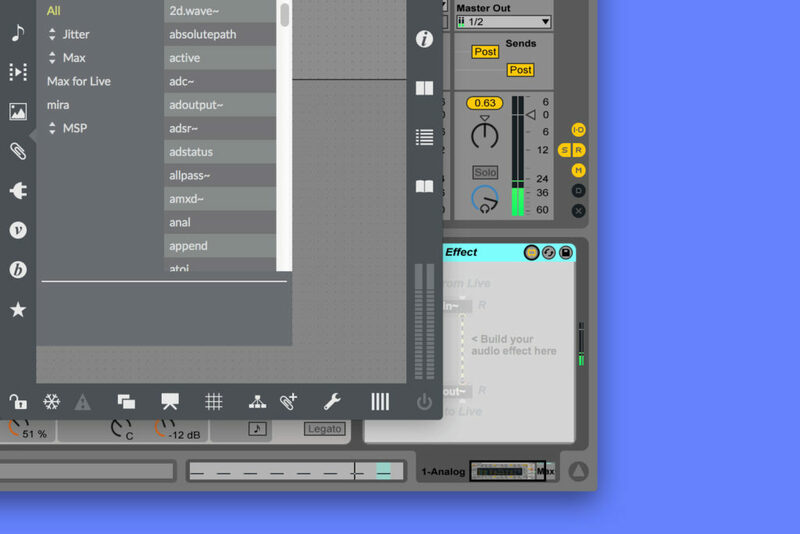 From Ableton’s side, Max has always been a thing that’s been used to prototype stuff [at Ableton]. And our hope is that if transformation into these larger, newer contexts is a big part of what needs to happen, that prototyping and prototyping via Max and what we’re working on is very valuable. Gerhard: What’s clear and obvious is that we both come from desktop background, and we realize that the world is much more multi-faceted now. David: We would have opportunities of making the experience of using Max and Live together more integrated, that we’ve resisted because we were independent organizations. So for example, our release schedule and Ableton’s release schedule…. From the perspective of how we would work together, it’s really exciting for our team to have all these people to talk to now. How can we do this together and think holistically about what’s in the best interest of the person actually using this technology? Gerhard: Likewise, I think it’s the same for our folks. The organizations are very different and the cultures are very different. It’s always enriching to re-contextualize what we’re doing. The Cycling team — there is a really powerful tradition, history, mindset of experimentation there. Ableton is a production powerhouse – we’re very much about stability, predictable outcomes. We are creating all these pockets for experimentation in our culture to somehow counteract that. We don’t have a master plan for how to go about integrating this – we assume that everyone just goes on doing what they were doing. We will pick the opportunities to do stuff together that are smarter than before, as we go. It’s also a nice situation. It’s not like anybody has an imminent need for changing stuff. There’s no urgency or calamity that we need to fix. It’s really about opportunity for us – on both sides. The Ableton mission is much more clearly focused on music makers than Cycling’s. Cycling is also widely used among visual artists, architects, makers – scenes that are related to ours but also independent. And we want to not mess with any of this. We are completely clear that what we are doing together is an intersection of what each is doing, and what each is doing is a separate concern. We’re solely focused on the joys and hardships of music making – making the actual music. So that’s really quite narrow compared to what Cycling do. They’re able to make tools for art. This is many layers outwards in reach. Therefore we don’t want to change anything about it. David: I would say for the foreseeable future, Max is the medium through which we would deliver the stuff that we’re doing. 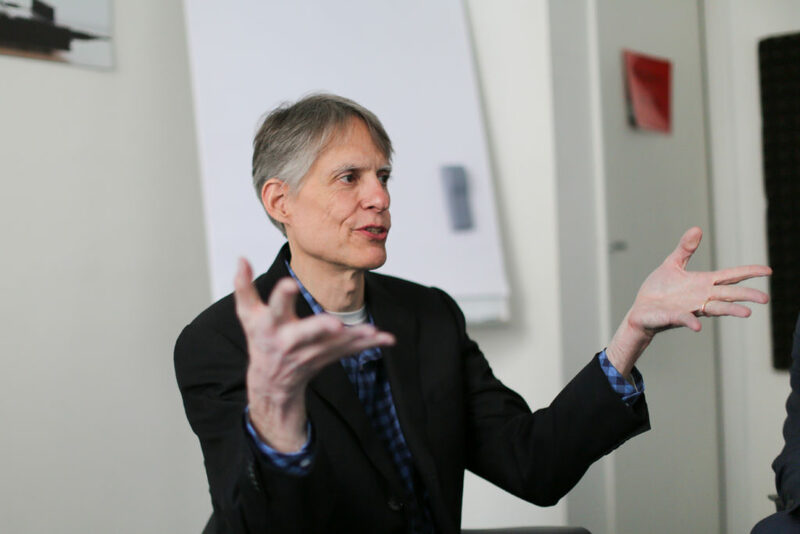 Gerhard: Making music is a need that people have [always] pursued – it’s just a reality that the technological context where this happens transforms. It becomes more complex, more rich, more multifaceted. And that’s more of a fascinating opportunity – it will not be a monolithic proposition that also binds people so much to a given setting, a given focus. Everything that happens on a laptop requires a few things already – you’re sitting down, you’re leaning forward. You’re probably on the laptop also running other programs that may have nothing to do with your music making efforts. Music making is such a feeble proposition if you think of all the sorts of aspects or influences. It’s exciting to think how we can make that much more malleable – just being elsewhere already makes a difference. David: The thing about music that’s both infuriating and exciting is this tricky combination of conservatism and innovation. People have invested for ten or fifteen years in Live. And they relate to the music through the software. What’s going to happen to those people if the landscape of computing devices changes? There’s a similar quality to how people who have been brainwashed by a lot of use of Max or Pd would think about making whatever they make with that. So the question is, how can you respect that tradition, that mentality that now is in our culture, and move it to this new world? Ableton Live 1.0, alpha. 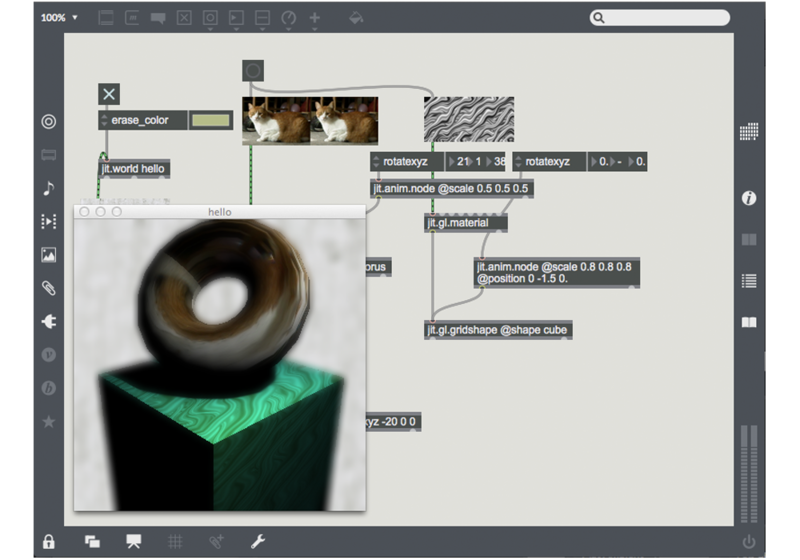 Screenshot: Robert Henke. It made so much sense, in a way that’s hard to describe. There was a logic and a narrative to [the demo] that was just complete. There was a process, and he went from nothing to having this amazing result. And in terms of what I do, process is everything. I’m trying to solve the problem of the cognitive process of creating something out of nothing. And so Max starts with this blank window, and you put stuff in it, and you’ve gone from the blank thing to something that actually does what you want. It’s not exactly music; it’s something deeper than that – a logic behind the music. Gerhard: We always thought about it as playing – it’s a kind of a playground. You are not literally putting musical idea into the computer as numbers or notes – but you have an idea of what would make the kind of music or sound that you’re thinking of, and you’re trying to express that. Somehow that part of [it], that something is going to come out that will surprise me – is just so wonderful. It’s beyond the one thing, the one melody I have in mind. It’s an idea. David: If I were thinking of making my own music, I’m not going for abstract ideas – I’m thinking of a sound. And I think of it the way a jazz musician would go for a sound, through how they would blow the sax or how they would touch the piano. 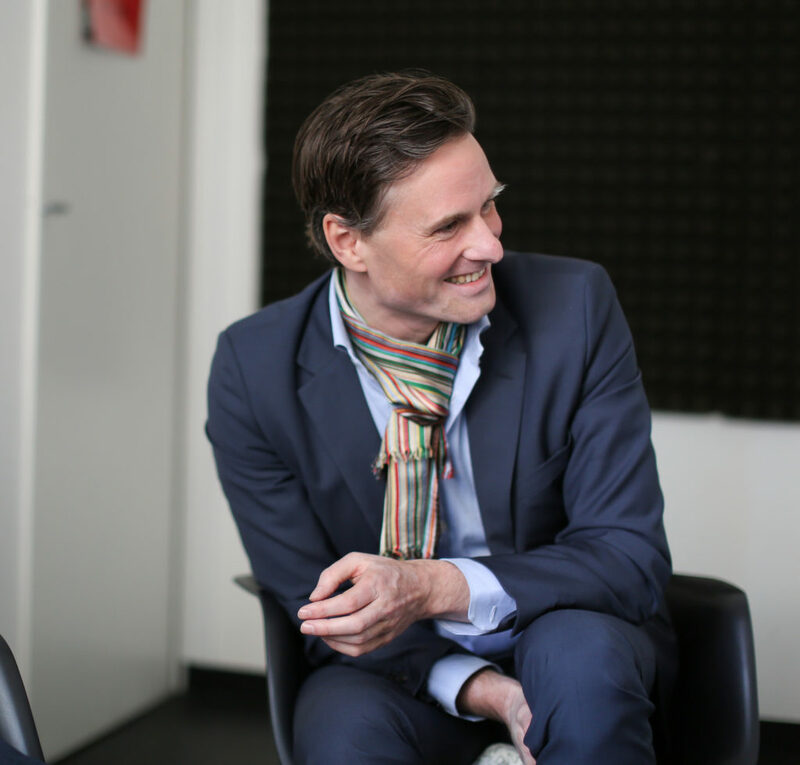 Gerhard: The way I experience this is, I have a sound in my head – for example, a ritardando. [sings, “duh duh duh duh duh”] I could now either pencil that in – type in the notes – and then I could hear it. Fine. Or, I could make a patch that does it, and then I have the sound that I wanted, but I also can tweak a little bit the numbers and then they have a different sound than what I thought. And I have a universe – a generalization, maybe, of the sound in the head that was there first. That’s interesting. David: But it’s not 100% of a generalization. It’s still in the same family. And that’s what’s cool about software to me – you can go a little bit further than an actual recorded sample. You can generalize it just that little bit, so that it’s slightly different every time – or radically different, if you want. And that can be expressed in some process. Gerhard: I think this is deeply personal — it’s a matter of sympathy and culture alignment. Max always had a vibe around it that we thought was contagious. It was just the most fun thing you could have your computer do. And you saw how to extrapolate from that to the people that make it. And it turns out that they are like that somehow. And it goes even farther back, like I actually have to say that Gregory [Taylor] — one of Cycling ’74’s employees – and I went to school together. This was like the 80s. It was some of the same people and thinking and that’s been there all along. And these are somehow zones of philosophy and aesthetics – maybe humanist thought or concern – that link us. I have rarely felt close to a company like this. There are companies I admire. But this is like [growing up with] a band. It’s about what’s close to your heart.